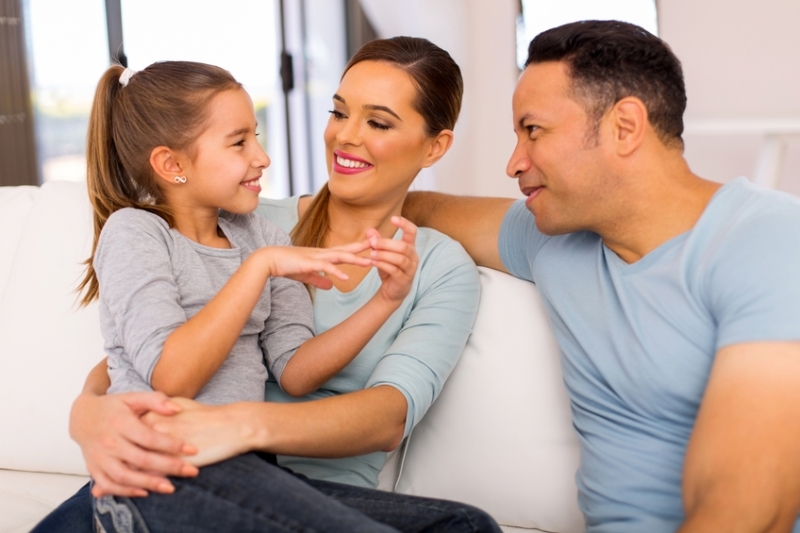 Parents often find that their children's expectations about dentistry and dental care are quite different, and often a lot more positive or neutral, from their own. For this reason, taking a hands-off approach can sometimes go a long way in making those first appointments go well. Most adults have one or two unpleasant dental experiences under their belts. Whether it was finding out you had 6 different cavities at your first dental appointment at the tender age of 7, or that root canal you had when you were in your late 20s, those uncomfortable (dare we say traumatic?) dental experiences can leave a mark on even the toughest grown ups. It's very easy to convey any feelings of fear, anxiety, or general discomfort you feelat the idea of going to the dentist to your children, even (and sometimes especially!) if you're trying not to. Kids tend to be more perceptive than many adults give them credit for, and they can sense when something makes you uneasy. Often, adults unintentionally infuse their comforting messages about dentistry with hints of the anxiety they actually feel, in spite of their best intentions. Presenting a positive but casual attitude to dental care is ideal when trying to set your child up for successful dental appointments. If you're not sure if you can quite muster that delicate balance, you might be better off avoiding too much discussion about your child’s upcoming appointment. Now, this doesn't mean you shouldn't mention it at all, or avoid answering your child's questions on the subject. The key, though, is to keep it simple. Answer questions about what will happen with something along the lines of ‘the dentist will take a close look and your smile and count your teeth.’ You'll find that you really won't have to go into too much more detail than that; it's a true and honest statement that doesn't allow for much interpretation. If you’re anxious about dental care yourself, it might be wise for you to stay out of the examination room during the appointment, and let the dentist and hygienist do their thing. This won't necessarily be easy, especially if your child is feeling a little nervous. But just remind yourself that the dental team has lots of experience working with children. We know from practice and experience all of the best words and terminology to use to help kids feel comfortable and at ease during their appointments with us. And above all, we want them to have a good experience just as much as you do!